Every day is full of emotions -- and now her sock drawer can be too! This 6-pack of socks features Riley's five emotions -- Joy, Sadness, Fear, Disgust, and Anger -- as well as her imaginary friend Bing Bong. 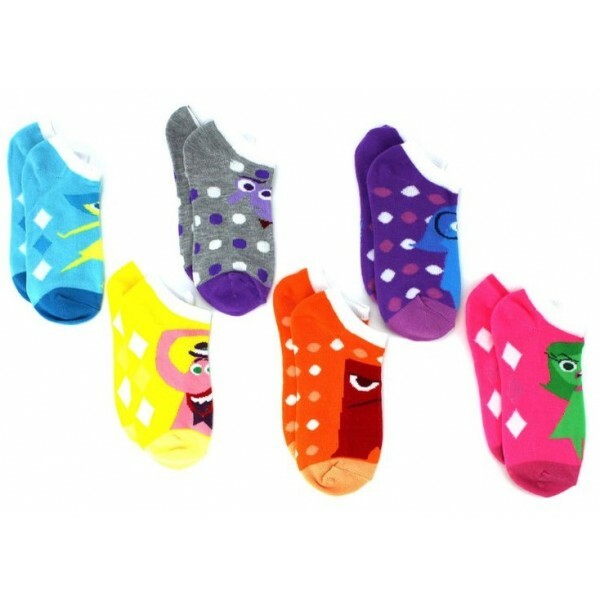 These 97% polyester, 3% spandex socks come in youth sock size 6 - 8, which fits shoe sizes 10.5 - 4. For more products featuring characters from this popular Disney-Pixar film, visit our Inside Out Collection.